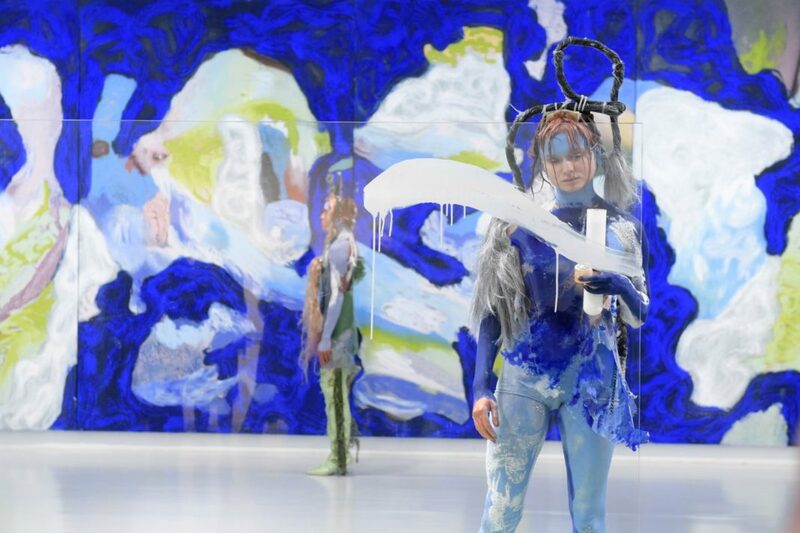 Donna Huanca is a disruptor. The Chicago-born, Berlin-based, Bolivian American artist uses saturated pigments and “skin-like” materials (not to mention live human bodies) to deconstruct gender and provide an alternative to the male gaze, and for her first-ever large-scale U.S. solo show, she’s “challenging” the nature of a historically male space. Granted, a lot of art institutions are steeped in masculine energy to some degree, but the Marciano Art Foundation’s former Scottish Rite Masonic temple once kept women out, except on special occasions. Called OBSIDIAN LADDER, the exhibit represents the first time a woman artist has taken domain over the Marciano’s 13,000-square-foot Theater Gallery since the Wilshire Boulevard museum opened in the spring of 2017. Huanca’s “skin paintings”—both on canvas and on hired femme models—and carved steel sculptures will create “a new topography of triggered senses, combining sound, scent, and live performance.” When she isn’t working in the visual realm, Huanca is a noise artist who goes by Rua Minx. Previously, the gallery has housed Jim Shaw’s Wig Museum, a simultaneous send up and skewering of midcentury iconography; Olafur Eliasson’s psychedelic light installation Reality projector; and, most recently, Ai Weiwei’s Life Cycle, a conglomeration of fragile-seeming objects, including massive wood-frame and fabric sculptures and a carpet made of antique ceramic teapot spouts. OBSIDIAN LADDER opens on June 28 and runs through December 1. Admission to the museum is always free with an advance reservation.